Thailand continues to face challenging outlook since military seized power last month. Tourism is badly hit and uncertainties arise in political and economical situation. 1Q14 economy contracted 2.1%. GDP 2014 growth estimate ~1.5-2.5% (2.9% in 2013). It will take some time before the new military government can introduce a general election and civil rule to stabilize the situation. The martial law could well be a temporary solution to resolve the economic calamity cause by the prolonged anti-government protest. New leader Prayuth need to prove that he can help support the economy better and has spoken to Bank of Thailand about unveiling measures to support the economy. Thai Baht has been very resilient hovering between 32-33 against USD since start of the year, and not expected to drop going forward. The positive economic trends Thailand enjoyed before the coup could return since the country has large middle class and a growing consumer population. The integration of Mynamar, Cambodia and Laos into the global economic system can also benefit Thailand in the long term given its proximity to these countries. The short term market volatility is quite unlikely to disrupt company operations. Many Thai corporations also have historically managed to overcome the political upheaval and even thrive in spite of them, proving the strength and resilience of the Thai people. Two days, ago Thai military leaders had also launch a happiness campaign dubbed "Return Happiness to the People"
"We were unhappy, so I had to ask myself, `Can we let this continue?’ We tried everything to resolve the problems through peaceful means. Nothing was successful. What we are doing today is to try and bring everything back to normal. We intend to return happiness to everyone." In my previous post, I mentioned about Super Group dependence on Thailand. See link here. With Thailand civil unrest persisting in the short run, Super share price had plummeted from high of S$2.48 (split-adjusted) to a low of S$1.38 today. Nonetheless, Thailand long term prospect is still bright considering the resilience the country and its currency. With Super strong fundamentals and Food Ingredient segment growth opportunities, I am confident that Super Group earnings should recover over time, and see its price and valuation improve. 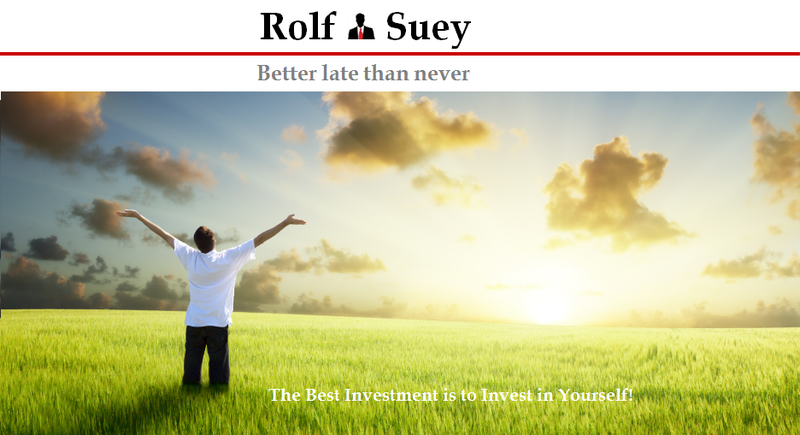 South East Asia largest economy is holding its presidential Election coming 9 July. 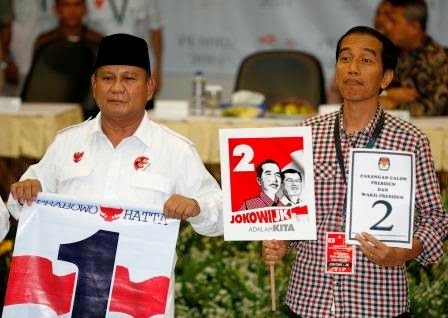 So far it is a close contest between Joko Widodo and Prabowo Subianto. Jokowi is known to be economic friendly (can tell from the face above) and has exhibit strong performance as current Jakarta governor. He has told investors that he will pursue market-friendly policies and make bureaucratic reform and infrastructure-building his priorities. Jokowi presented a pro-reform platform for Indonesia as investment cools and the country faces hefty budget and current account deficits. He also says "Investors should be given enough room to broaden their investments"
Prabowo, is more a no-nonsense ex-general. Although not as down to earth and economical friendly as compare to Jokowi, there may be people who prefer his style as a strong and firm leader which Indonesia need. Prabowo is a former son-in-law of Suharto and has the backing of the country's second biggest party Golkar led by tycoon Aburizal Bakrie. Bakrie is a controversial figure in Indonesia business and political circles and definitely not the most popular among many. Indonesia's stock market and the rupiah fell on news that parties backing Prabowo won a slightly bigger share of votes in the April 9 parliamentary poll than pro-Jokowi parties. The interim political uncertainty in Indonesia could place additional pressure on rupiah, one of the worst performing Asia currency last year, as investors fretted over the country’s current account deficit. Last year, Rupiah falls from 9,795 to 12,171 against USD. Industry expert forecast it to be 11,800-11,900 against USD by end this year. 2014 GDP growth for Indonesia is estimated at 5.6% a tad below 5.8% last year. Due to the weakness in Rupiah, LMIRT share price had also fallen to low of 0.39 from high of 0.58 in 2013. Has been supported at 0.4-0.41 for the past many months. The drop in price is despite that real income actually improves (excl. ex.rate decline), reported in the last quarter result. Considering rents in Jakarta is the lowest in the region and Indonesia government is not going to have more malls due to traffic problems, LMIRT occupancy rates should continue to be strong with potential rent increase. Indonesia growing middle class and continue economy growth >5% is also encouraging over long term. For now, Indonesia fate seems to depend on the results of the coming election.